ABFE brings a new framework on RPBC to realize its mission of promoting effective and Responsive Philanthropy in Black communities. This new template builds upon grantmaking with a racial equity lens but is tailored specifically to grantmaking in and for Black communities. As a result, we have designed a set of defining characteristics of philanthropy that we believe is more likely to reduce gaps in racial disparities facing Blacks in the United States and are looking to partner with grantmakers around the country to apply this framework to their investments. ABFE’s mission is to promote effective and responsive philanthropy in Black communities. Our agenda for change utilizes a set of tools and resources to specifically address the role of philanthropy in supporting Black communities, and to provide expert and strategic counsel to help advance this agenda. In order to facilitate this, ABFE ‘s Responsive Philanthropy in Black Communities (RBBC) framework and set of tools are designed to increase the capacity of all of philanthropy – grant-making entities, collective giving models and donors – to do their work more effectively. The approach emphasizes a careful and conscious analysis and application of strategies that result in opportunities for grantmakers to support Black communities, and in a broader sense, the greater society. Dr. Martin Luther King Jr. and others promoted the vision of the “beloved community” where all of our destinies are integrally interwoven – that all boats rise on the tide of prosperity, equality and justice. That aspiration compels us to look at each individual community as a part of the whole; thereby ensuring that as Black communities are strengthened, other communities, and the nation, gain a set of tangible social, economic, and political benefits. When we speak of responsive grantmaking in Black communities, ABFE’s goal in this approach is to increase philanthropy’s ability to learn, acknowledge and comprehend the diversity of the Black Diaspora represented in the United States. This nuanced approach will increase our understanding of diverse cultural norms across the range of communities of African descendant (African Americans, Continental Africans, Afro-Caribbeans, Afro-Latinos, etc.). Additionally, our reference to increased investments in Black communities include grantmaking made to specific sub-populations (Black men and boys, Black LGBTQ populations, etc. ), communities or geographic regions that include a large population of Black households (40% or more) and/or grantmaking to reduce disparities between Black and other communities – either nationally or in regions where Blacks are not the majority. In all of this work, we advocate a form of grantmaking that builds on the values of self-help, efficacy and overall strengths of Black communities. It is also important to note that responsive philanthropy does not mean “re-active” philanthropy – ABFE advocates for a form of grantmaking that is forward thinking and considers the projected experience of Black communities in the future. Race matters; Blacks fare worse than whites on almost every indicator of child and family well-being. On many indicators, Blacks fare worse than other communities of color even within class groupings. The only way to close gaps in racial disparities for Black communities is to be intentional about this work. Grantmaking specifically targeted to Black communities made by large foundations is declining at a time when outcomes and disparities for Black children, families and neighborhoods in many areas are getting worse. Advocacy is needed to reverse these trends. Trend data on population growth suggests that U.S. grant-making organizations will increasingly be challenged to work in concert with Black communities and nonprofits serving those communities. Given the right tools and technical assistance, we can direct more effective and responsive philanthropy to Black communities. Philanthropy builds the power of, and invests in, the people who are most impacted by the issue. With an increased understanding of the strengths and assets of a diverse Black diaspora, grantmakers will provide more effective tactics in their grantmaking. This will inform a range of culturally appropriate engagement strategies that should ensure authentic and inclusive participation of constituents who can voice and act upon their community’s strengths and unique challenges. Philanthropy focuses on influencing the root causes of disparities to primarily include the federal, state and local policies and program practices and regulations that disproportionately and adversely impact Black communities. 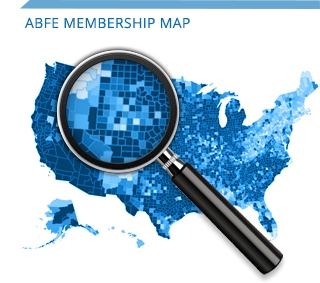 ABFE will emphasize increasing constituents’ capacity to identify root causes and their effects, and develop policy strategies that ultimately eliminate those primary causes. This will influence the development and implementation of more effective philanthropic strategies that address Black communities’ needs while advocating for positive policy change. Philanthropy addresses the interaction and relationships between systems and programs (child welfare, corrections, workforce development, homelessness, health, education, etc.) and their inter-connected and cumulative effect on Black communities. Inequitable outcomes in Black communities are aligned and reinforced by detrimental policies and direct services across systems. ABFE will develop and share tools and processes to increase the capacity of grantmakers and other change agents in their respective communities to understand the cross-sectional issues relative to their work. Philanthropy aims to build the leadership capacity of Black communities and strengthen the infrastructure of its core institutions. Black communities are disproportionately impacted by the current trends facing the non-profit sector: a transition in leadership from baby boomers to a new generation of managers as well as the economic recession. ABFE is particularly concerned with the lack of Black leadership in large nonprofits that tend to attract more dollars as well as the low investments made in Black-led nonprofits overall. Giving that builds on the strengths and assets of Black leaders and core institutions that support our community is critical. Philanthropy is built on, and supports activities to compile, data sets disaggregated by race to inform how the Black community fares. Accessibility to comprehensive, disaggregated data is essential to the support of services and funding to Black communities. To ensure the field uses data that is more specific and accurately reflects the Black community’s demographics, needs, assets, deficits, etc., ABFE advocates for access to data disaggregated across the Black Diaspora that lifts up our strengths as well as our challenges. Philanthropy supports evaluation activities that rely on the use of varied data sets and is transparent and clear about the impact of investments on Black communities. ABFE advocates for the use of a range of quantitative and qualitative data that emerges from a variety of methods and sectors. To ensure it’s recognizable to a varied audience and informs actionable solutions, ABFE will promote the translation of data into user-friendly information which can guide action. In addition, it is critical that evaluation activities to assess program and policy grantmaking tell the full and candid story of its impact on Black communities. Philanthropy minimizes the dominance of negative images in Black communities. Negative images of Black communities are counter-productive and even impair policy creation and implementation. Foundations are uniquely positioned to help provide the support needed to articulate a more balanced and authentic representation of Black communities. ABFE encourages philanthropy’s proactive use of varied tools and mediums in strategic communications. Meaningful investments in carefully crafted public information can influence a shift in programmatic focus, community behavior, and long-term change. It will attract allies who can be convinced that Black communities possess a set of assets to be developed and invested in. ABFE will support philanthropy’s strategic communications to utilize the full range of media outlets, social networking platforms, and community-accessible media to communicate to a broader audience a richer and empowering narrative of Black life. To increase the capacity of all of philanthropy – grant-making entities, collective giving models and donors – to do their work more effectively.